England manager Gareth Southgate condemned the Montenegrin racists who subjected his black players to constant abuse during an emphatic victory and promised to report it to UEFA. A night that should have belonged to the brilliance of Callum Hudson-Odoi and Raheem Sterling was wretchedly overshadowed. The pair starred in a comprehensive win with goals by Ross Barkley (2), Michael Keane, Harry Kane and Sterling, but from early on in the Euro 2020 qualifier, it was apparent that bigots had targeted the two wingers and left back Danny Rose. Hudson-Odoi, fearless on his first England start, had a lighter thrown at him during the second half. 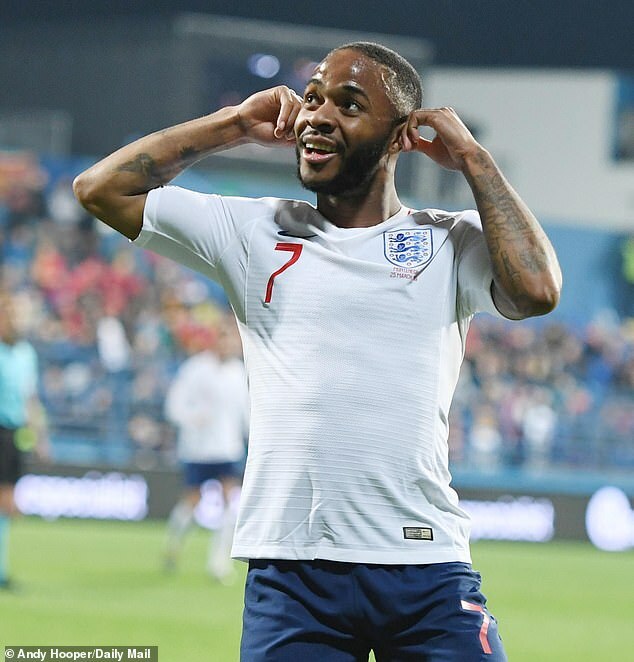 Sterling pulled his ears in a defiant gesture to the crowd after he had scored the goal that completed the Group A rout. 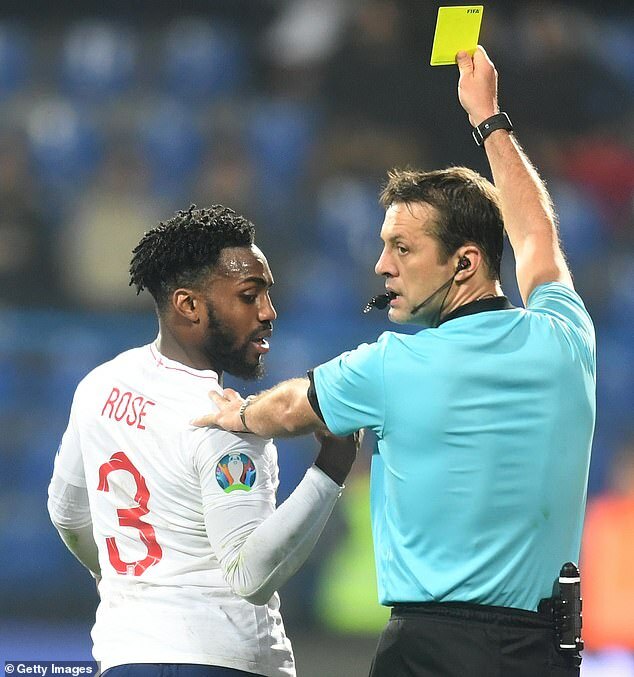 The most vivid flashpoint came in injury time when Danny Rose was subjected to monkey chanting after he was booked for a foul when his frustrations boiled over. 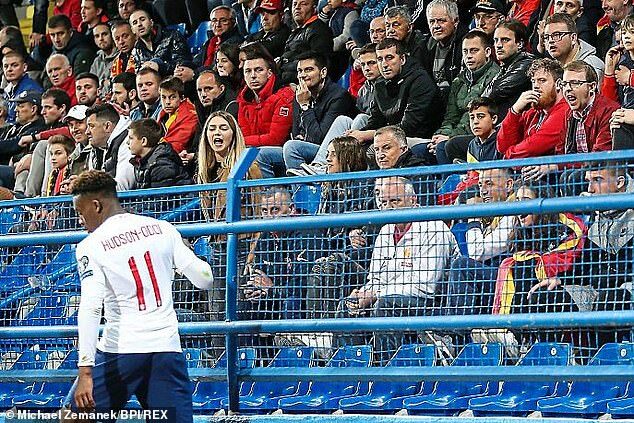 This is the second time he has been racially abused representing England, the first being in Serbia for the Under 21s in 2012. 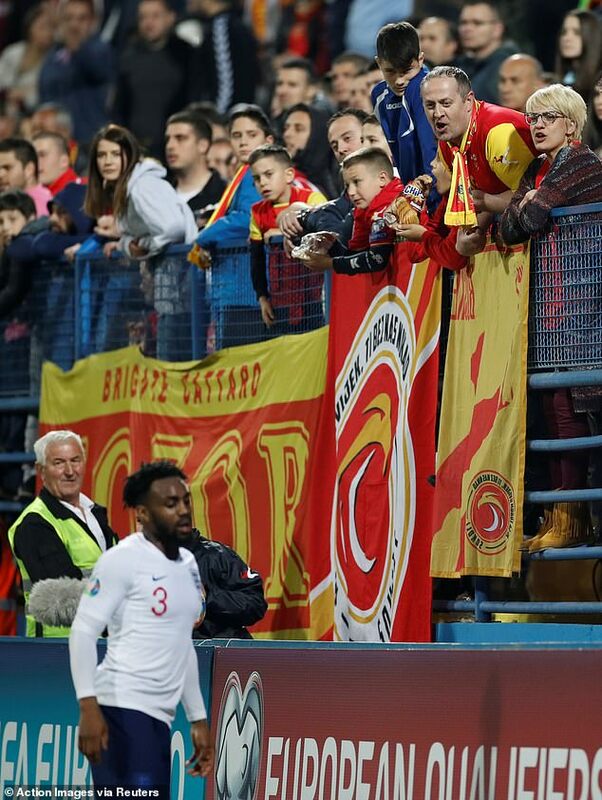 Such was the venom from the Montenegro supporters who had remained in the stadium, one fan tried to climb barriers to get on the pitch but he was held back by a fellow supporter. It was clear how much it had upset England’s head coach. 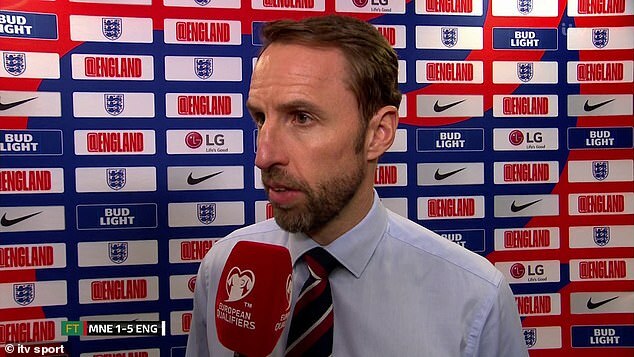 Southgate said: ‘We had an excellent performance and we’ve got an 18-year-old (Hudson-Odoi) being interviewed after the game and he’s having to respond to what’s happened when his evening should be about the joy of his full debut. Hudson-Odoi spoke to beIN Sports about the experience and said: ‘I don’t think discrimination should be anywhere. We are equal. We have to play a fair game and enjoy the moment but when you’re hearing stuff like that from the fans it’s not right. If Southgate had total admiration for his players, the events left him visibly upset. He apologised at one point for not being able to find the right words to express himself when the reality was he provided a 15-minute press conference that was impeccable given the situation. ‘I’m sitting here trying to find the right balance of my disgust and recognising the differing views of the players in terms of their experiences of the past,’ he said. ‘My role is to support and protect my players, first and foremost. It was clear to everybody that there were comments made. ‘Reflecting on sanctions, sanctions are only of any use if they lead to education. Sanctions are worthless if there is nothing alongside that to help educate people. ‘My kids don’t think, for one minute, about where people are born, what language they speak, what colour they are. ‘There’s an innocence about young people that is only influenced by older people. So we have to make sure the education is right for everybody, in our country the same. ‘I’m not sitting here just criticising what’s happened tonight. We have the same issue in our country, we’re not free of it. Sterling was disgusted by what he had heard and he told BBC Radio Five Live: ‘It is a shame really because it was a massive team performance at a difficult ground, a difficult place to come. ‘We knew how difficult it would be, we knew it would be hard at times but we stuck together as a team. But then a couple of idiots ruin a great night. ‘It is a real sad thing to hear, I didn’t hear it personally but my team-mate Danny heard it and it is a sad thing to hear. It is a shame we are talking about this to be honest with you, it is 2019. Former England striker Ian Wright, a pundit for ITV on Monday night, accused UEFA of not doing enough to combat racism. Sports Minister Mims Davies called for swift action from UEFA.